No Maximum Cashout! AUD$20 Minimum Deposit. Bonus terms apply, please check the casino's website for details. 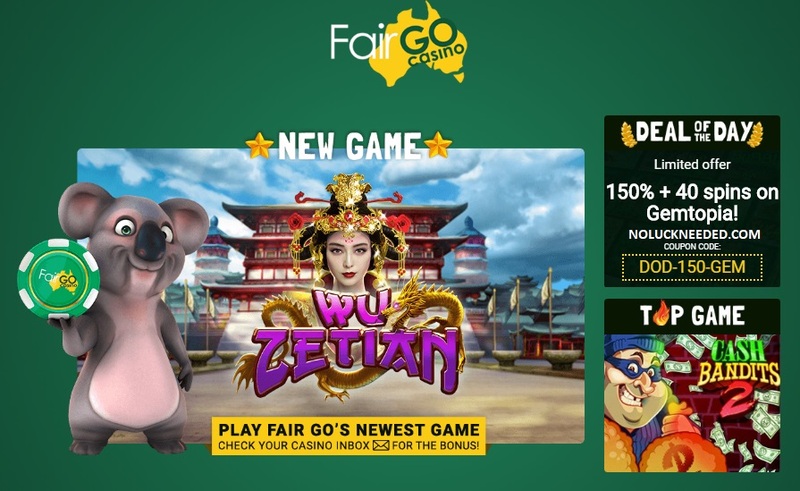 Deposit $50 - Play with $75; Deposit $100 - Play with $175; Deposit $200 - Play with $400! No Maximum Cashout! AUD$50 Minimum Deposit. Bonus terms apply, please check the casino's website for details. 30x wagering. $10 is the maximum bet unless specifically stated otherwise. Please note that bets placed on Roulette on colour Red and Black are not allowed, if contrarily any winnings generated will be voided. Also bets placed on European Roulette with an active bonus are not allowed. Valid ALL DAY EVERY MONDAY.